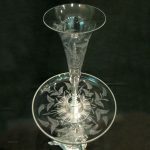 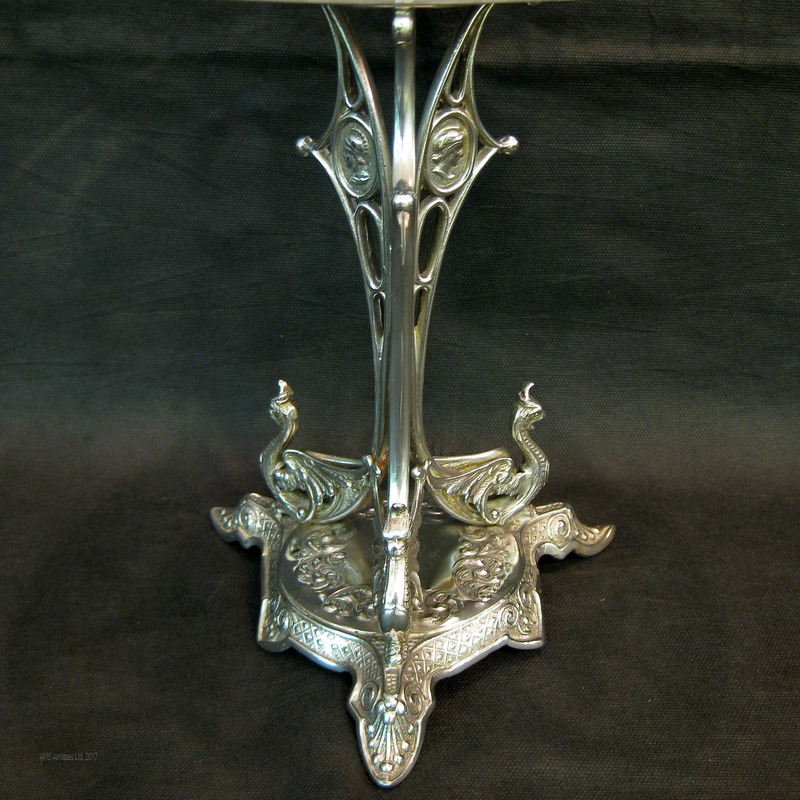 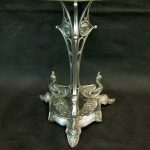 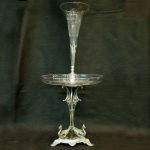 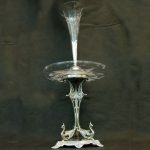 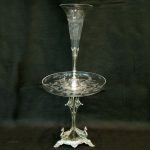 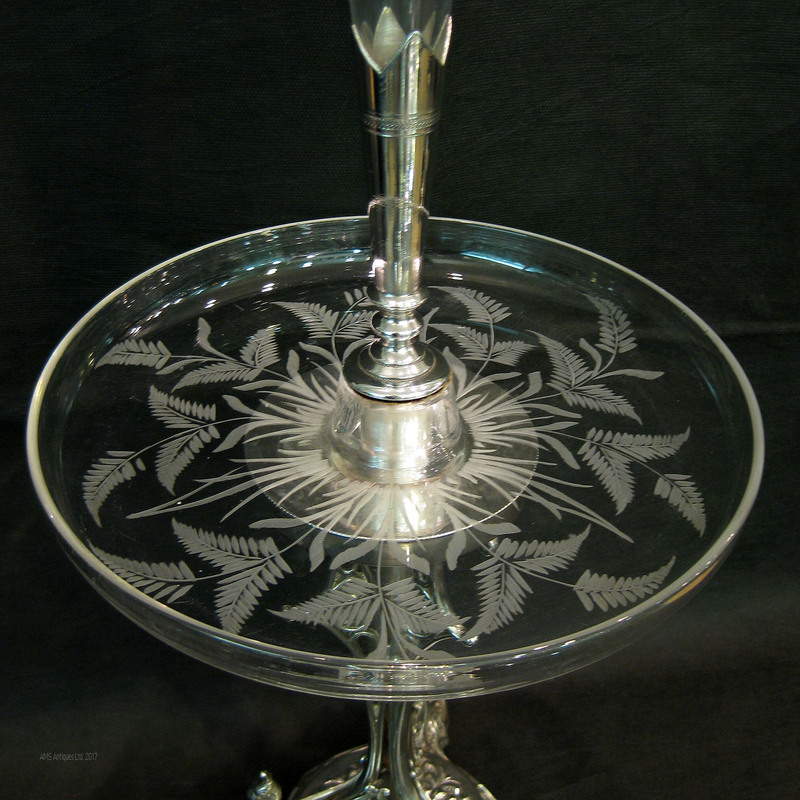 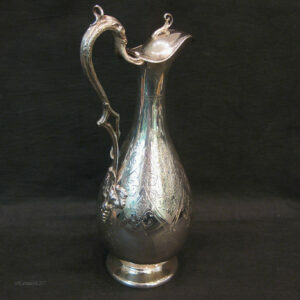 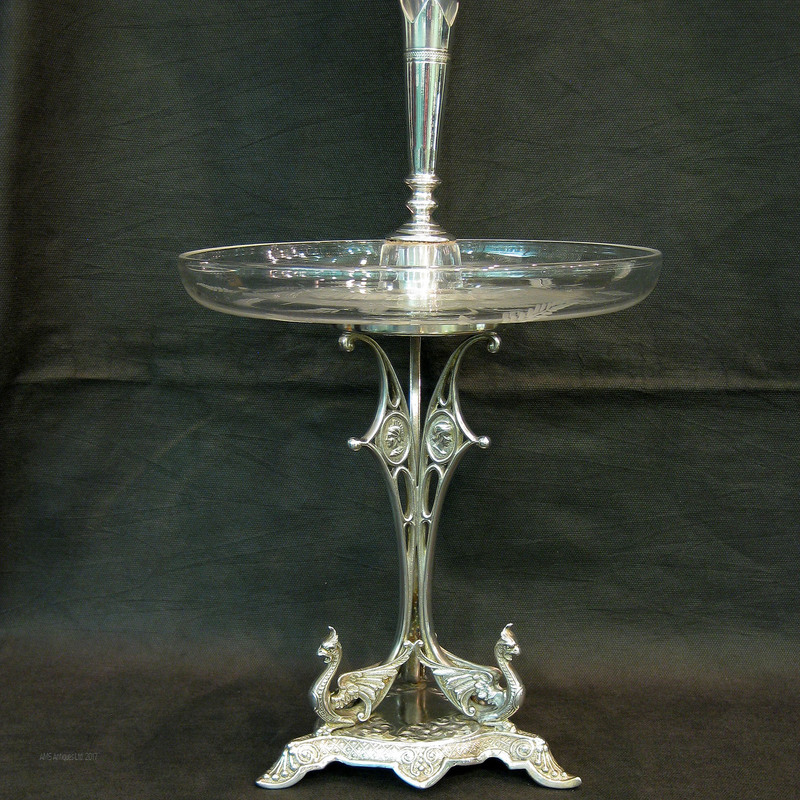 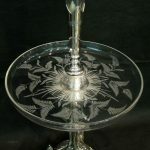 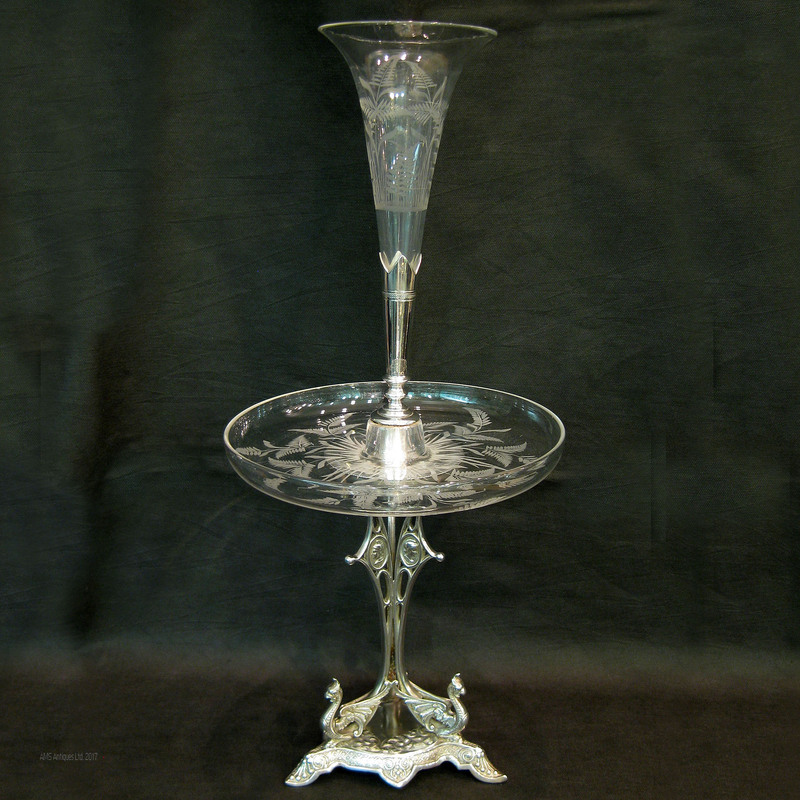 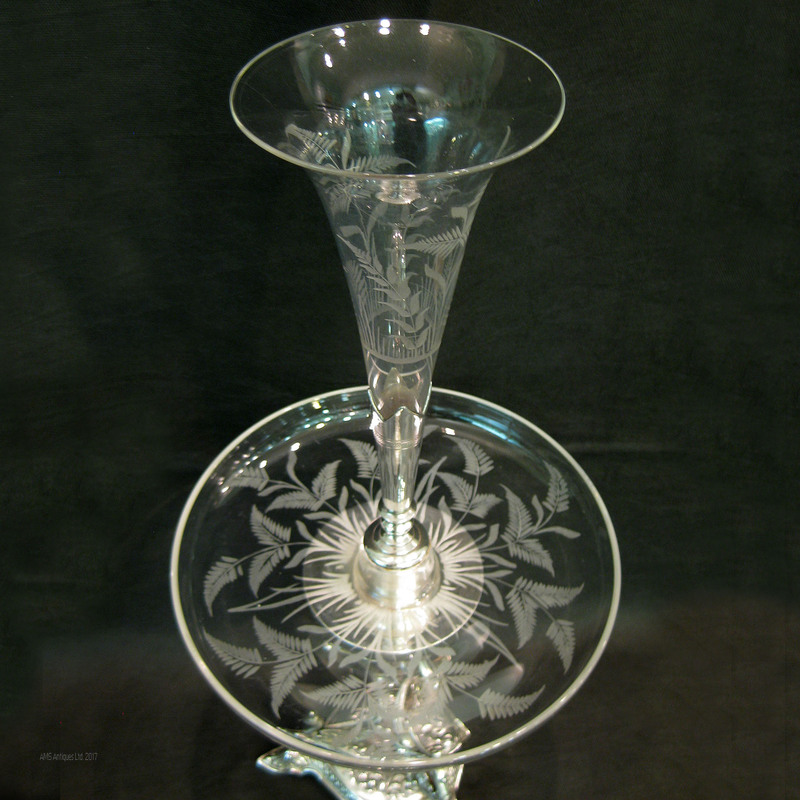 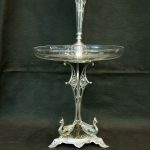 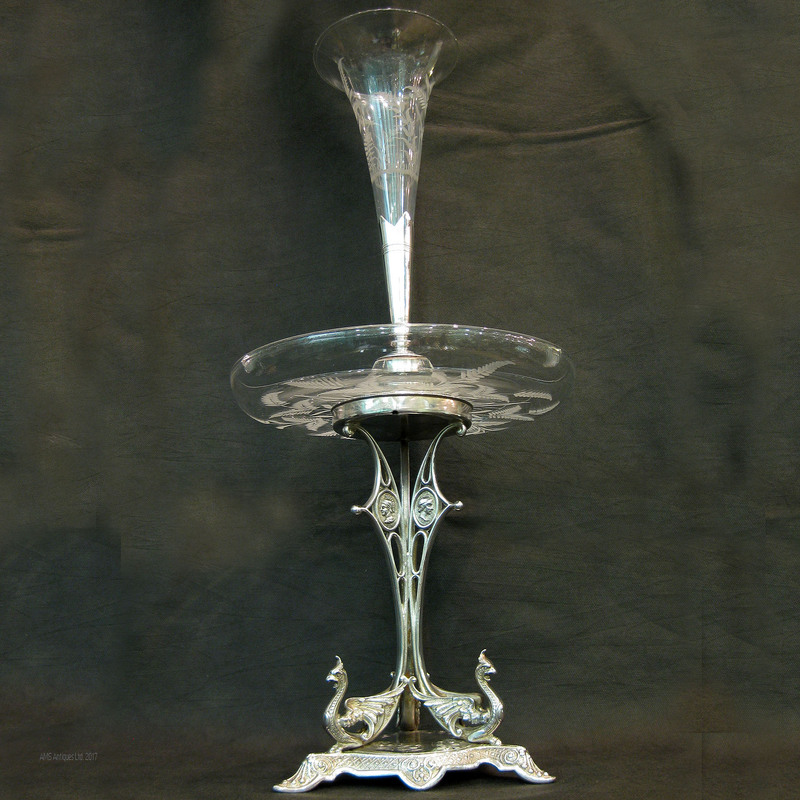 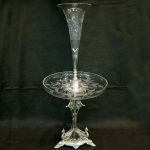 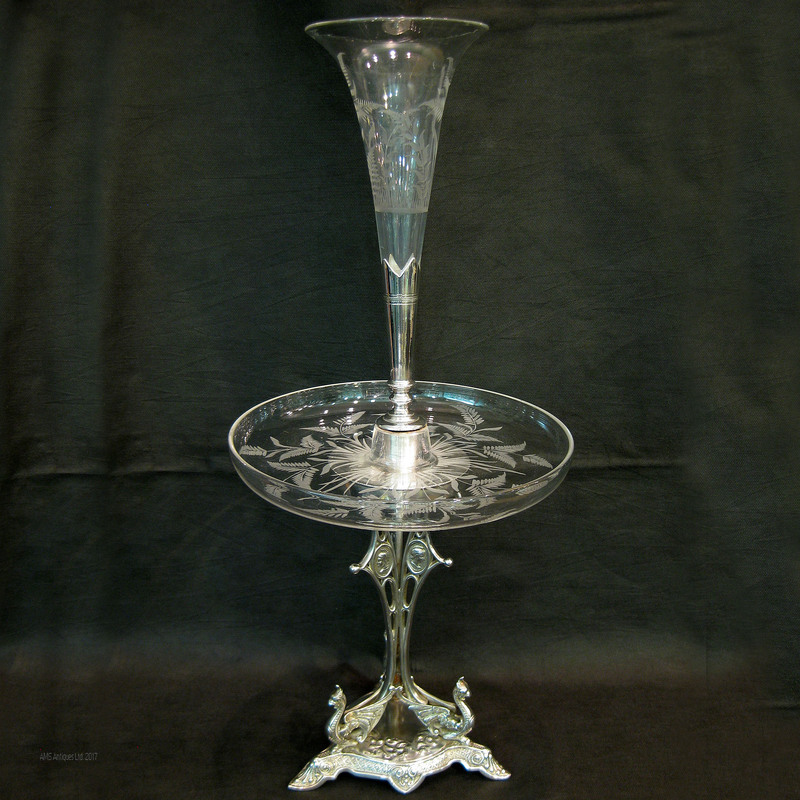 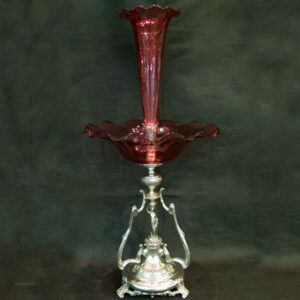 A silver plated Victorian centrepiece/epergne with beautifully etched/cut glass featuring ferns and wild grasses. The base has three griffin/dragon like creatures and there are neo classical figures on the main stem. 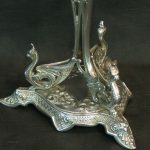 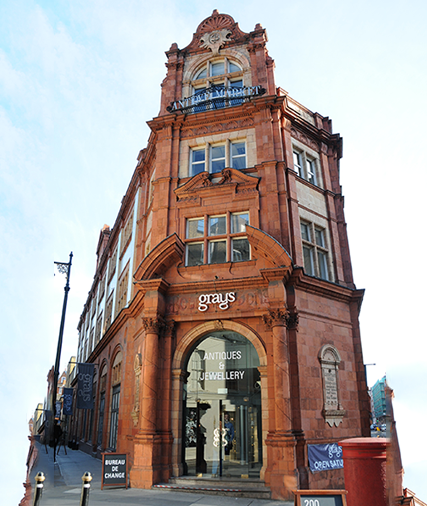 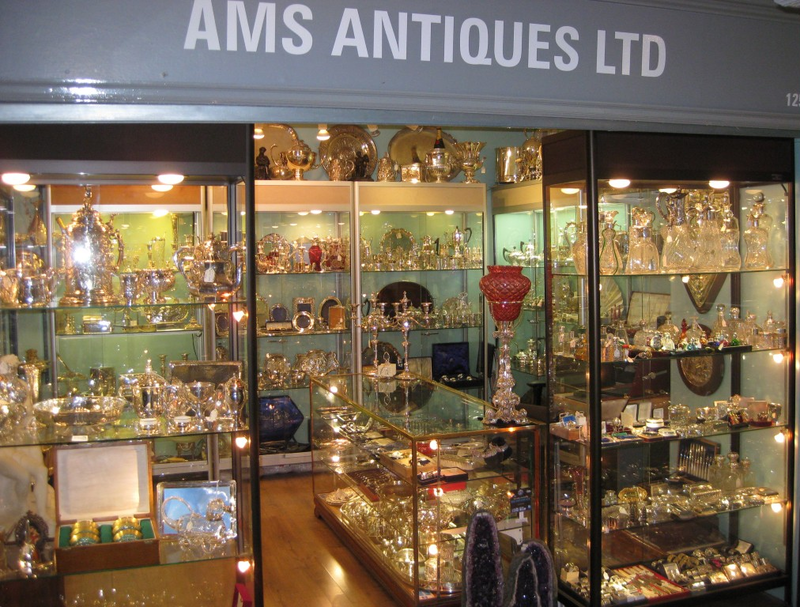 Made in Sheffield in 1890. 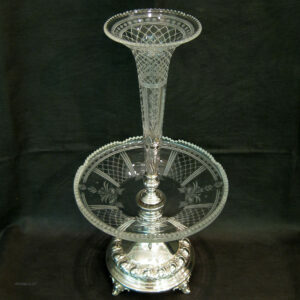 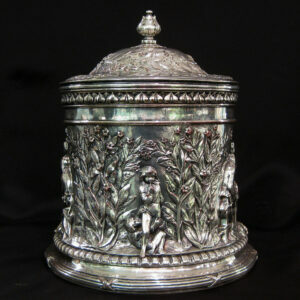 Stands 53cm tall 24cm wide at the dish and 16.5cm at the base.